Our first story for Season Two is “A FISHY TALE” by Apol Lejano-Massebieau, narrated by fiction and travel writer Yvette Tan. The story was published in the fiction anthology A TIME FOR DRAGONS, edited by Vincent Simbulan, and published by Anvil in 2009. Click on the PLAY button to stream the audio. ABOUT THE AUTHOR. 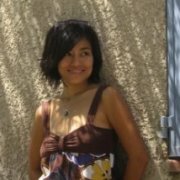 Madame Apol Lejano-Massebieau is a writer, wife, mother, product designer, and entrepreneur based in France. If you’d like to read more of her written work, she’s got a book of essays out, called PROVENCIANA, available at all Fully Booked branches. She also sells her handmade crafts on http://lapomme.etsy.com and http://lapommestories.etsy.com , and blogs about them on http://lapommeblogs.blogspot.com . ABOUT THE READER. 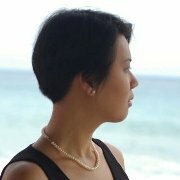 Yvette Tan is a writer based in Manila. Her stories have also won awards in the Palanca, Philippine Graphic/Fiction Awards, and honorable mentions in the Year’s Best Fantasy and Horror. Her first collection of short stories, Waking the Dead was published in 2009.